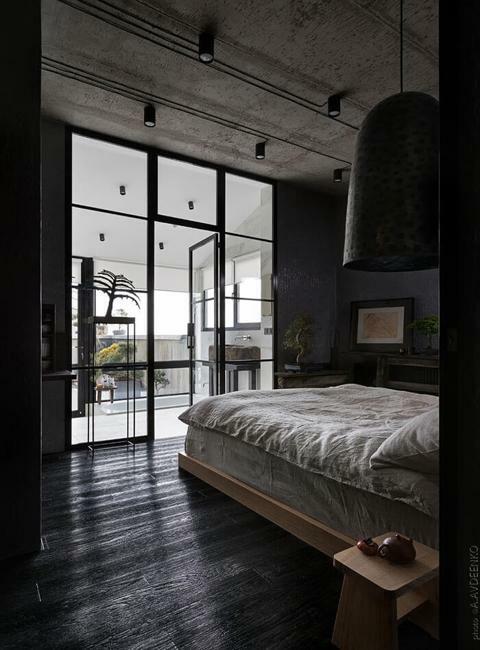 Unusual interior design is exciting and inspiring. We can wonder how people get their ideas for creating an original interior design, but not all of us are ready to be brave enough to experiment with new styles and challenge our traditional interior design ideas. 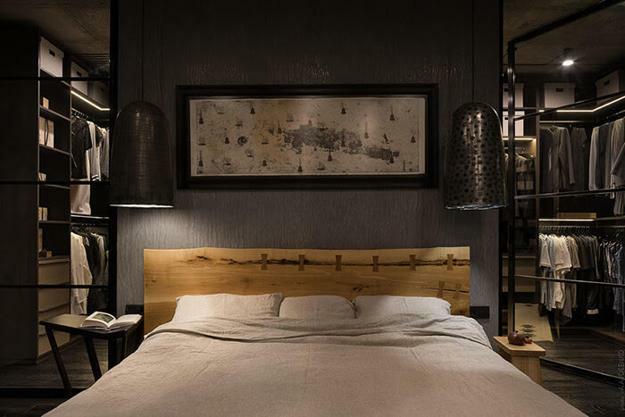 Here is a home of Ukrainian architect Sergey Makhno demonstrating how you can blend the wabi-sabi concepts of Japanese style with traditional room design. The penthouse looks impressive and stylish. 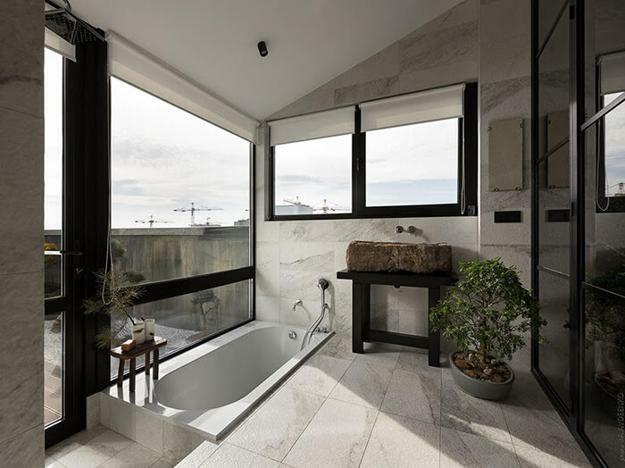 The architect managed to bring together Japanese aesthetics with the tradition of his country and design fabulous home interiors for his family. 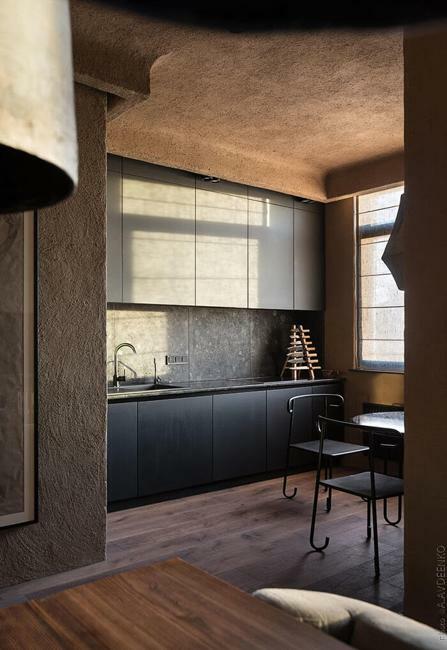 The apartment ideas are based on the Japanese concept of wabi-sabi or excepting imperfections. 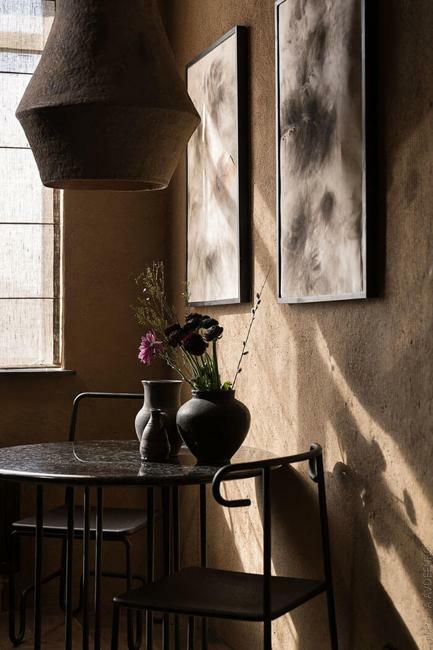 The modern interiors celebrate natural objects, textures, patterns and offer original rooms comfortably furnished for stress-free everyday life. 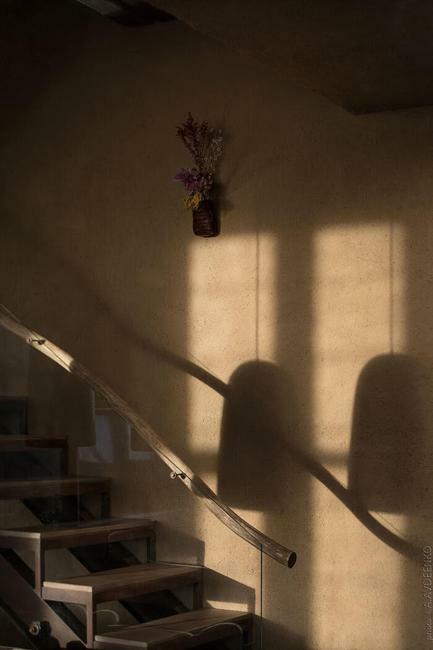 Wabi-sabi is a worldview centered on the acceptance of transience and imperfection. Following the concept in modern interior design is a way of celebrating the beauty that is imperfect, impermanent, and incomplete. 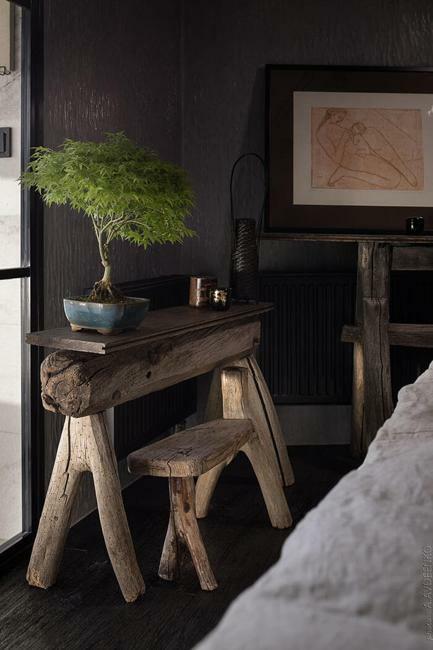 Rough natural stone and wood, clay vases, rustic lamp designs give unique touches to organic interiors. 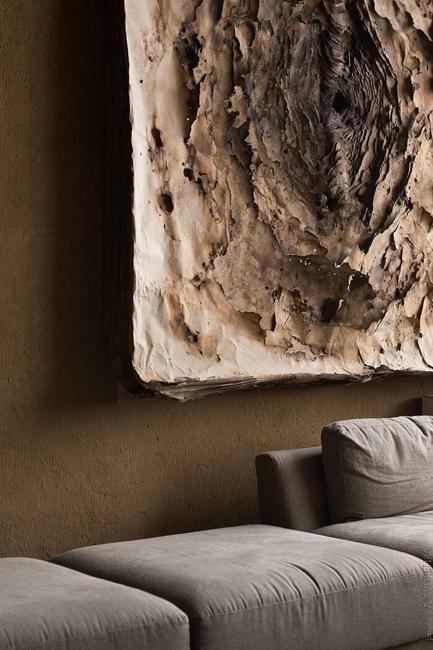 There are natural materials, organic shapes, and coarse textures in the interior design. Wooden beams and clay wall designs look harmonious together creating a rustic, country-home-inspired look. 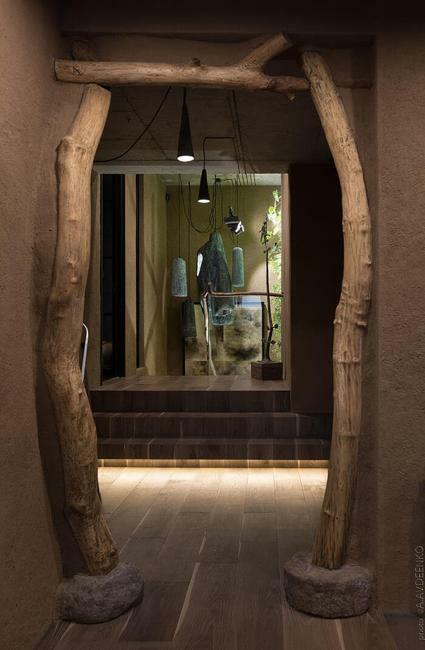 Modern interior design feels relaxing, evoking a sense of a safe cave coziness and comfort. The apartment is equipped with contemporary amenities. Modern interiors, quiet room colors, rustic textures of natural materials, and contemporary home appliances create a unique home that promises a comfortable lifestyle and a peaceful atmosphere for adults and kids. 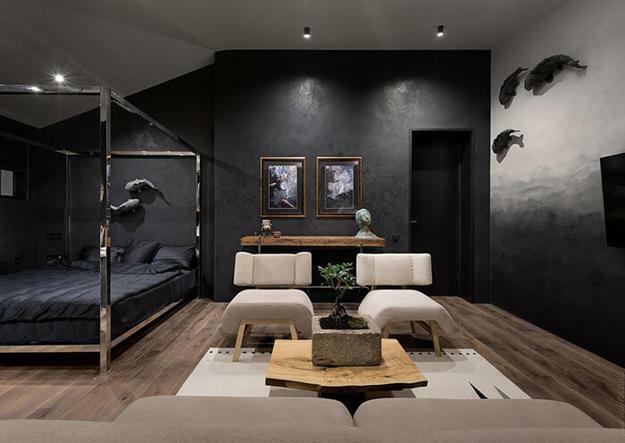 Creative apartment ideas mix Ukrainian accents and Japanese designs. A woven floor rug with Ukrainian motifs and traditional crafts bring original accents into modern interiors. 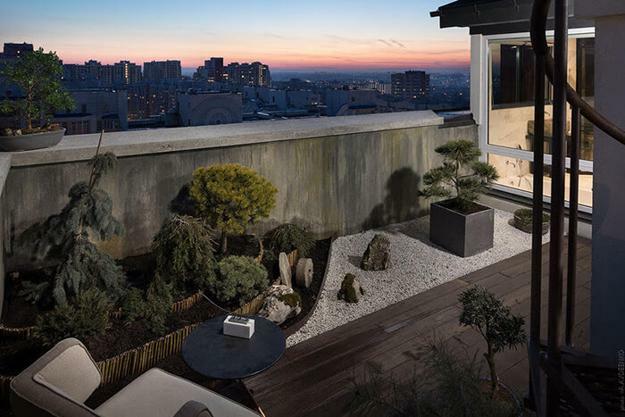 Bonsai trees and a small rooftop garden emphasize the Asian interior design ideas. 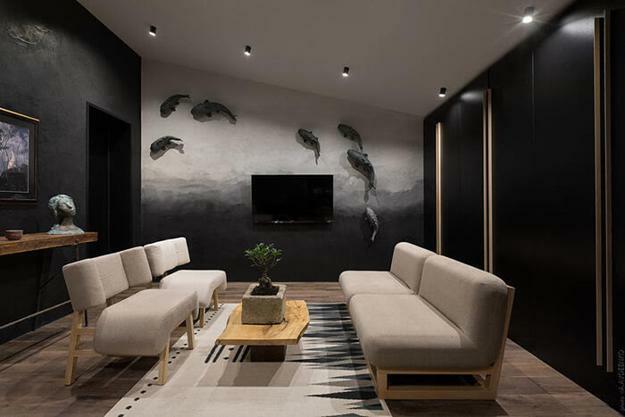 The 3d koi fish wall art is another beautiful reminder of the oriental style. 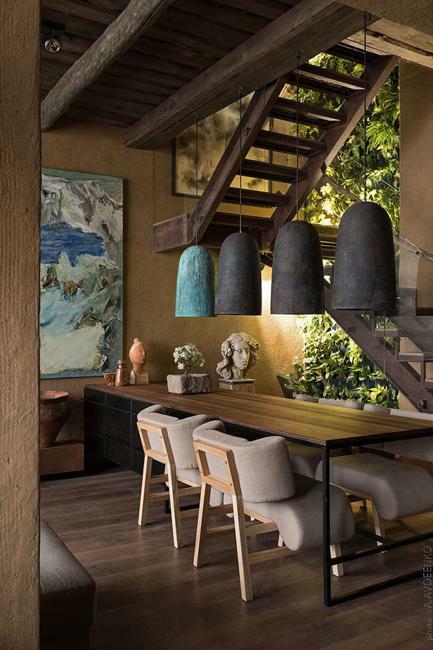 The impressive and provocative, original and unique interior design elegantly mixes contemporary items and finishes with rustic natural textures. 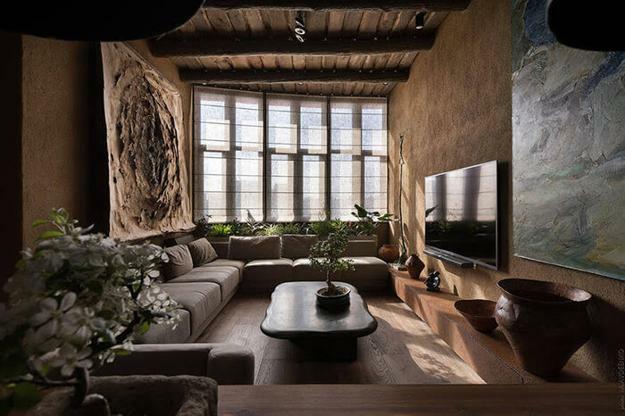 Peaceful and cozy earthy interior colors and wood create a warm, comfortable feel. The modern stainless steel bed, kitchen appliances, and walk-in closet represent the contemporary level of comfort.